Thanks to the LITTLE EDEN Society’s initiatives “Donate your birthday” you can do it! You just have to request your friends to make a donation to LITTLE EDEN instead of buying you a gift. In this way you can supply LITTLE EDEN, through donations, to fulfill the needs of other children and adults in need with comfort, care and love as well as make them smile the day of your birthday. As we get older, we realise which are the real values of our life – love, family, good health, friendship, peace of mind etc…– all things that can’t be bought. By ‘donating’ LITTLE EDEN Society your birthday you will not only spend nice time with your friends and beloved ones, feeling happy and loved, but also know that you are making a difference in the lives of other people, the majority of whom will spend their birthday and every other day of the year in a wheelchair. Life gives us daily many opportunities to be happy and make someone happy, to love and to be loved in return. ‘Donating’ your birthday to the residents of LITTLE EDEN Society is one of those! You can make a donation directly to our association Domitilla Rota Hyams Onlus, which supports the activities of LITTLE EDEN Society. For more information about how to donate click here. 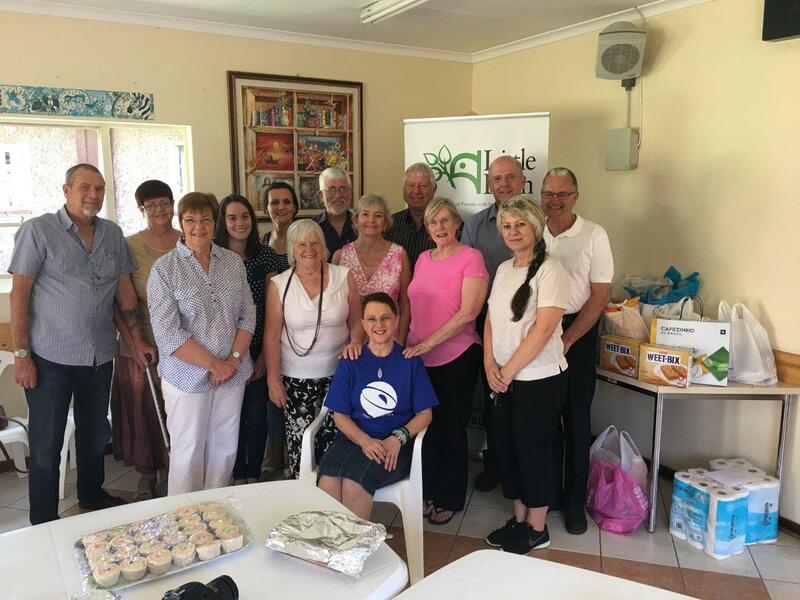 She did not think twice, Annalie Anticevich, journalist for 33 years at different local South African news-papers, to follow the initiative “Donate your birthday” and give all her birthday presents to the residents of LITTLE EDEN Society, where she is helping out with social media, admin and marketing since May 2016. During an interview, the ex-journalist told that she had been always willing to do voluntary work and serve the community, but her work never allowed her to do so. It was only when she met the LITTLE EDEN Society’s CEO, Lucy Slaviero, while visiting the Elvira Rota Village in Bapsfontein (one of the two homes of the institute), that she realised that she could give her talents and skills to serve LITTLE EDEN Society. She strongly believes in what St Francis of Assisi wrote in his prayer for peace -”…for it is in giving that we receive”- and, therefore, she will always remember the joy felt when she understood the contributions to LITTLE EDEN Society to care for its residents. In the photo Annalie Anticevich with her husband, John, and beloved friends during the party organized for her special birthday.